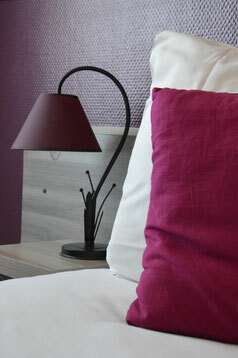 All our rooms have been renovated to offer you a comfortable stay. : double gazed windows, electric shutters, courtesy plate, free WIFI internet, office space, TV, private bathroom, hair dryer, closet, etc. Room with double bed, two single beds or a familial room : we have all types of rooms to answer to your different needs. Everything is thought to simplify your stay ! Always doing our best to make you feel at home !